An Exclusive look inside the Red Cross Ball 2018, Monaco. Take a journey inside the rarefied and glamourous world of Monaco. A rare inside at the world’s most exclusive charity gala – Monte Carlo’s Red Cross Ball 2018. The principality of Monaco is best known for its wealthy residents, luxury homes and Formula 1. However, such generalisations belie the fact that Monaco actually represents a thriving and close knit community. 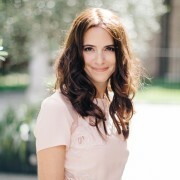 And as a luxury blogger who makes it her business to go to all of Monaco’s big events, there is no event I look forward to more in the Monaco social calendar than the annual Red Cross Ball. This year’s gala was no exception. 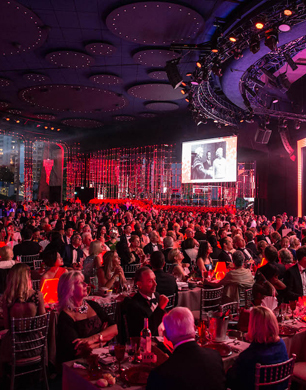 On Friday, 27th July 2018, the Salle des Etoiles at Sporting Monte-Carlo, played host to the who’s who of Monaco society and international philanthropy, at the very special 70th anniversary of the Monaco Red Cross. The Croix Rouge Monegasque is a charitable organisation run under the presidency of H.S.H Prince Albert II. The organisation’s central mission is working within the International Red Cross and Red Crescent Movement to provide humanitarian relief to disadvantaged groups throughout the globe. In 2017 alone the Monaco Red Cross carried out more than 65,000 hours of volunteer work and spent over €3.6 million on good causes, including social and healthcare projects underpinned by principles of sustainability. This year, guests arrived via the stage of the lusciously decorated venue – a crimson and white labour of love created by the Monte Carlo Société des Bains de Mer team. Red and white roses draped every surface. Large vases filled with thousands of roses (red piano, red ice, Kensington Garden and cream fragrance varieties) glinted in the sparkling reflections of oversized crystal chandeliers. And the centerpiece? A spectacular floral frieze composed of 2000 red dahlias. The guests arrived for what promised to be a remarkable night of music and charity. Black-tie was the order of the evening and the dress-code represented full-out Riviera glamour. 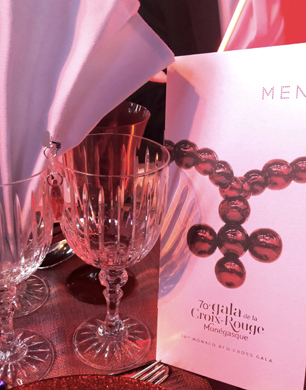 Other than perhaps the Oscars, there’s no occasion quite like the Croix Rouge Ball. Haute-couture, important diamonds, tiaras (and the occasional turban!) all made an appearance on the red carpet. Representing Luxury Marionette, my personal choice was a backless teal Stella McCartney gown with lace detailing. As the patrons were ushered through into the main hall, photographers and cameramen swarmed to capture the best attired guests whose images were then projected onto the screen in the main hall. The evening was kicked off by Adriana Karembeu and Michel Cymes, accompanied by Maïtena Biraben who led the charity raffle with lots which included an Audemars Piguet Royal Oak Offshore Chronograph watch, a VIP trip for two people to attend the Formula E Grand-Prix in Marrakech (won by my father!) and a rare diamond and ruby Brasilia necklace by Cartier. The Nashville, Tennessee country music trio MamaDear provided the entertainment. Prince Albert II and Princess Charlene of Monaco, dressed in a shimmering silver Versace floor length gown, made their way onto the dance-floor – which was soon filled with guests dancing to good old American country! However, this was only a warm up. The headline performer for 2018 was none other than multi-platinum artist and British legend, Seal – best known for hits like, “Crazy”, “Love’s Divine” and “Kiss from a Rose”. Seal gave an electric performance. Aside from his finest hits, he offered a bit of old but gold in the form of legendary classics by Frank Sinatra, Ella Fitzgerald and Nina Simone. The night was an outstanding success and ended with a standing ovation from the audience – in equal measure recognising the performer and the amazing cause of the evening. And as I write this, already looking forward to the Red Cross Ball 2019, I’m acutely aware that this year’s gala will be a hard one to top.